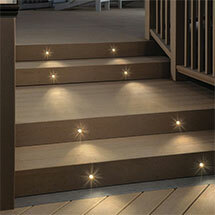 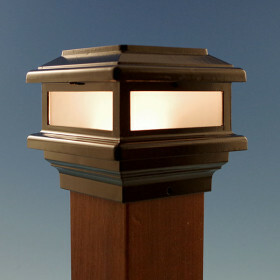 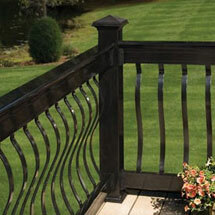 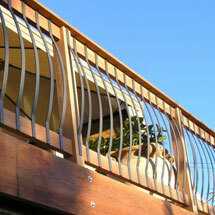 Deckorators pioneered the first decorative covers for deck posts. 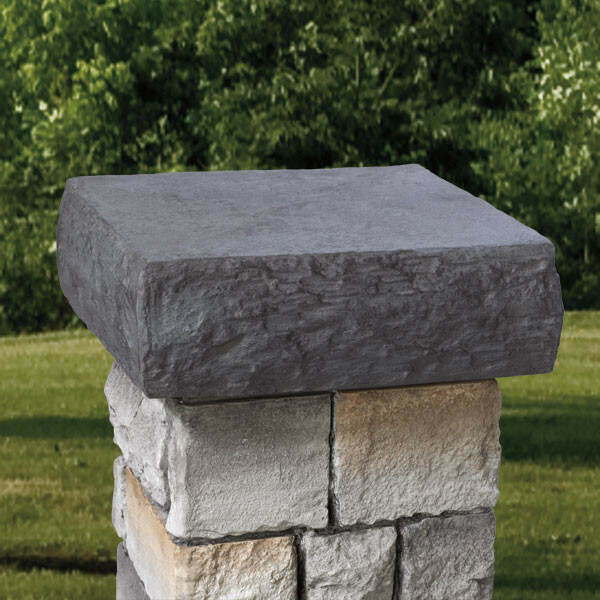 Their new cast stone post covers boldly carry on this tradition, transforming the posts and corners of any deck into magnificent, stately pillars. 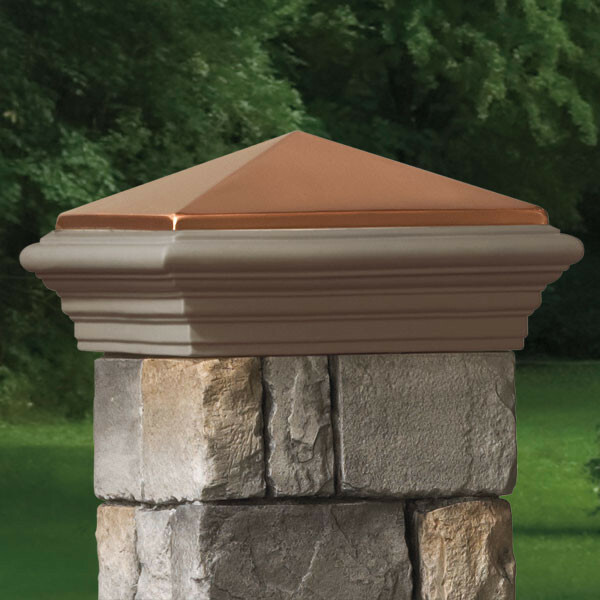 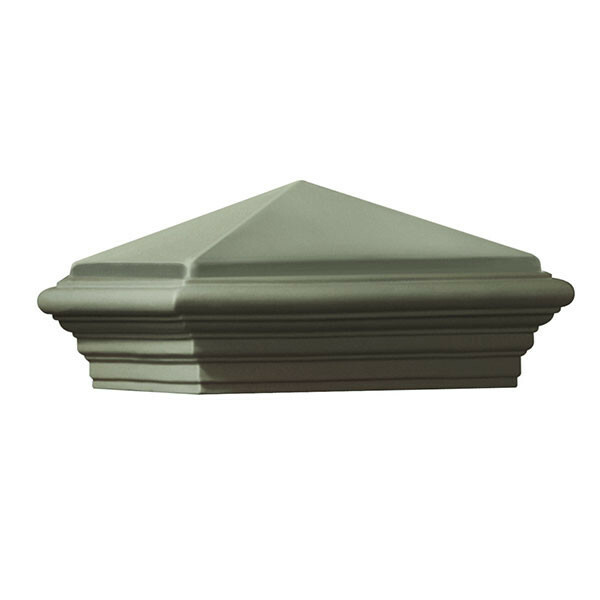 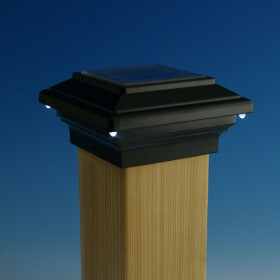 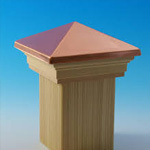 Top off your Cast Stone Post Cover by Deckorators with your choice of three post cover caps. 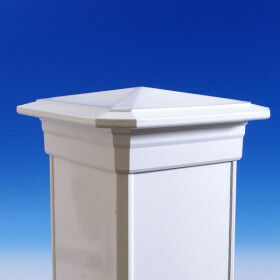 Each fits perfectly atop the post covers. 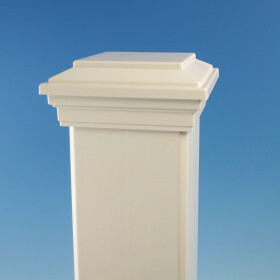 Mix or match post cover caps to add a crowning touch to your deck, in your own distinctive style. 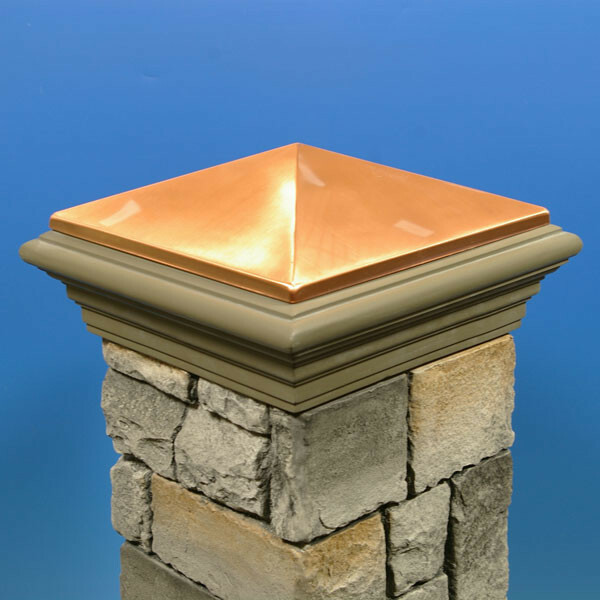 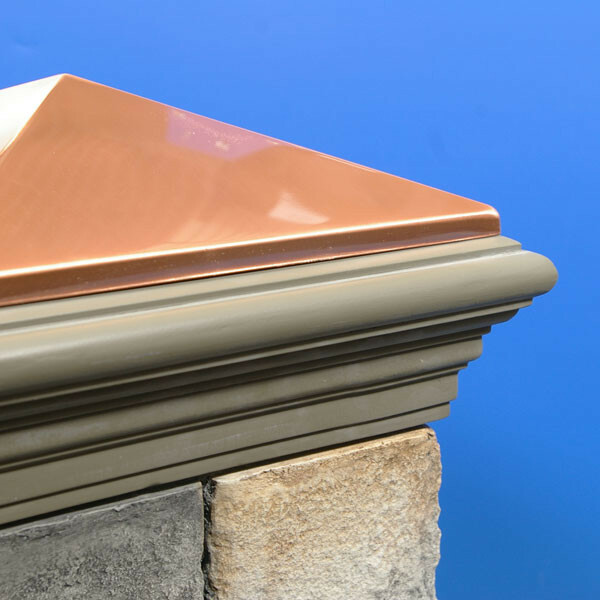 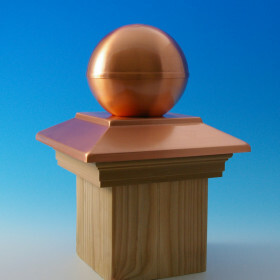 Copper Finish Cast Stone: 10-3/4" x 10-3/4" x 5-1/2"